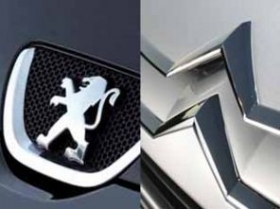 PARIS -- PSA/Peugeot-Citroen may delay a 650 million euro ($857 million) plan to open a car plant in India, the company said. PSA has issued a series of profit warnings amid plunging European sales. It is expected to report a significant full-year auto division loss on Feb. 15. PSA's spokesman declined to comment on the reasons for the review or whether PSA still aimed to begin production in 2014 as originally planned. In September, the automaker said its new India plant in Gujarat will assemble a new compact sedan and the Peugeot 508 mid-size model, with capacity to produce 170,000 vehicles a year. PSA CEO Philippe Varin announced the India investment as part of a strategy to reduce the group's dependence on stagnating home markets. Europe accounted for about 54 percent of PSA sales in 2011, the highest share among major automakers, according to data from LMC Automotive. In October, Varin announced plans to save an additional 800 million euros this year and cut some 6,000 European jobs in an attempt to stem the expected losses. Peugeot announced earlier this month it was withdrawing from Le Mans 24 Hours endurance racing ahead of the 2012 season as it seeks to "concentrate resources on its sales performance." In 2010, PSA suspended a project to build a plant near Hyderabad, India, pending the outcome of tie-up talks with Mitsubishi. Negotiations between the French and Japanese carmakers ended without a deal.